Q: Is 'The Oblong Box' available to read online? Q: Is this movie actually based on a story by Edgar Allan Poe? At best, an average typical horror flick, in the same style as the old Hammer movies. Gordon Hessler was a director who made dozens of mostly unknown and mediocre movies but always with some well known (horror)names in it. This movie is also mediocre at best and stars horror icons Vincent Price and Christopher Lee. The concept of the movie is good, however the directing and unnecessary complicated storytelling make this movie nothing more than an average typical horror flick, in the same style of the Hammer movies. From an horror movie with both Christopher Lee and Vincent Price in it you would expect lots of goods. 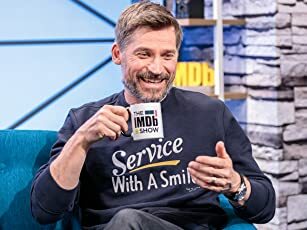 Their characters however get an awful few good things to do in the story and perhaps the movie was even better of with a cast consisting entirely out of unknown British actors. Sure, the fact that both Price and Lee star in this movie make this an appealing one to watch for the fans but they simply feel out of place in the movie and their talents and abilities are not used to the max. Perhaps this is mainly due to Gordon Hessler's mediocre directing, who obviously wasn't the most talented horror director of his time. The real main part of the movie is played by Alister Williamson as the disfigured Sir Edward Markham. The cinematography shows a few moments of brilliance and is quite refreshing at times, especially considering that this is a movie from the '60's. The costumes and sets are decent and help to create a good atmosphere and the amount of blood and graphic images is surprisingly high. 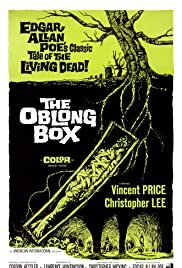 The story is dragging at too many points and the story is told a bit too often unnecessarily difficult, which doesn't make "The Oblong Box" the easiest or most enjoyable 'old' horror movie to watch. It's certainly a watchable movie and true fans of the genre will most likely find some joy in this movie but its too average all to really make a lasting or great impression. Also the fans of Lee and Price will be slightly disappointed by this movie, as the both of them get very little interesting to do in this movie.